A model railway layout is greatly enhanced by a good back scene - if a modeller is prepared to go to great lengths to achieve realism in the locomotives, rolling stock and buildings, this should be carried through to the scenics. 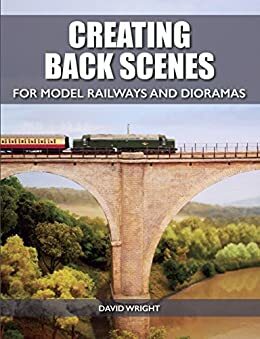 This book is a comprehensive guide for both railway and diorama modellers to create convincing back scenes. It covers choosing the right materials; rural and urban back scenes; traditional painted back scenes; producing back scenes with camera and/or computer; the correct use of forced perspective and scale reduction; getting the transition from layout to back scene right and, finally, lighting and presentation. Aimed at all modellers, especially but not exclusively railway modellers, and superbly illustrated with over 300 colour photographs and diagrams.